Properties in Saint Breward average 4.7 out of 5 stars. Property 12: Idyllic family farmhouse in breathtaking moorland setting. Spacious 3bed, Modern new build, Set in beautiful North Cornwall. Property 23: Spacious 3bed, Modern new build, Set in beautiful North Cornwall. Detached House With Off Road Parking, Close To Beach. Property 26: Detached House With Off Road Parking, Close To Beach. 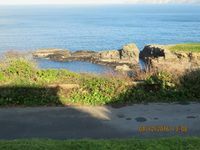 Property 27: Large cottage on coast path between Polzeath & Port Quin ... superb views! Property 28: New house in Rock with traditional feel, tucked away down a private lane. Port Isaac, Fabulous Cornwall property with stunning uninterrupted sea views. Property 46: Port Isaac, Fabulous Cornwall property with stunning uninterrupted sea views. Loved the house! Lots of room, spotlessly clean, well equipped kitchen, and breathtaking views! The house is lovely, and was perfect for the 9 of us. There is a lot of space and we were very comfortable. The views are amazing &amp; Port Isaac village is a short &amp; enjoyable walk away. There is a small Co-op grocery store within walking distance, which came in handy. Freshly caught fish is available near the harbour if you want to cook. If you don&rsquo;t feel like cooking, there are plenty of places to eat &amp; enjoy a drink. For Doc Martin fans, it is fun to spot all the places in the show. In the opposite direction, is Port Gaverne. Again, you can walk there, &amp; views are also beautiful. We were lucky to have some days of warm weather, but to be honest, I enjoyed wondering around when it was drizzling too! After a long day of strenuous activity, it was lovely to come back to the house to watch the sunset and relax in comfort. We definitely want to come back one day. I would highly recommend this property.